Richard Nixon and Henry Kissinger saw that South Vietnam could defeat the Viet Cong if it were powerfully enough assisted by American air power against the North Vietnamese. In April 1972, between Nixon’s historic visits to China and to the Soviet Union, the North Vietnamese made their supreme play and launched an all-out invasion of South Vietnam. There were only 28,000 U.S. ground forces in-country, and they were used entirely to defend air bases. 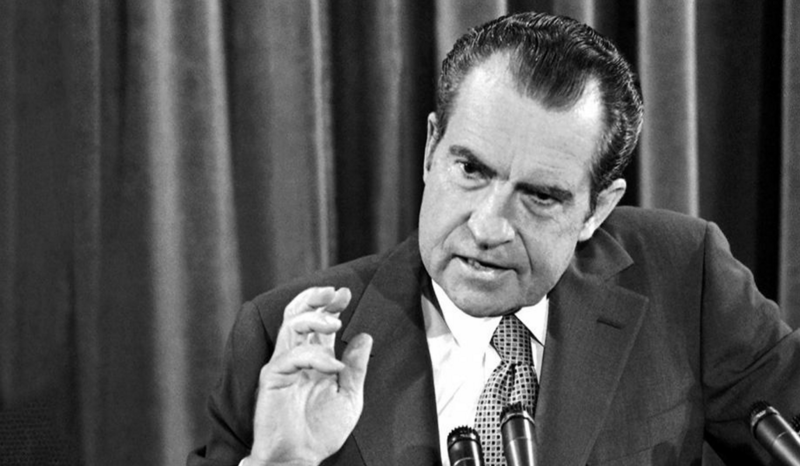 But Nixon finally put an end to Johnson’s insane bombing halt of March 1968 and launched 1,000 air strikes a day on North Vietnam, moving up to 1,200 a day during his visit to the Soviet Union, so there could be no doubt about his seriousness. The North Vietnamese failed, decisively defeated by the South Vietnamese, assisted by heavy American air support — which it was always Nixon’s intention to reapply when the North Vietnamese violated the Vietnam peace agreement of 1973, which the Soviets and Chinese twisted their arms to sign, so cunningly had Nixon and Kissinger triangulated that relationship. This was why Nixon submitted the peace agreement as a treaty to the Senate: to secure Senate approval of its enforceability. Just when my hopes were rising, like the green shoots of early spring, that the Nixon-demonizers had no more vitriol to propel with sinew-lean arms and quavering voice, that the much-punctured Woodstein inner tube had no more lies within, that decades of self-directed champagne toasts from firehoses had worn them down, the Woodstein Monster twitched: “It’s alive!” Barely. Peter Baker of the New York Times wandered blearily into the harsh winter light to give the 1968 Paris Peace Talks myth one more groaning turn of the wheel: to assert that Nixon told the South Vietnamese government to sandbag Johnson’s campaign-end launch of the peace conference. Click here to read the full article at National Review Online.